My first piece for Lauren Hom's 'Homwork' project. We were challenged to take a 'dirty' word and letter it beautifully. So here's to a word that shouldn't be dirty or shameful to say! 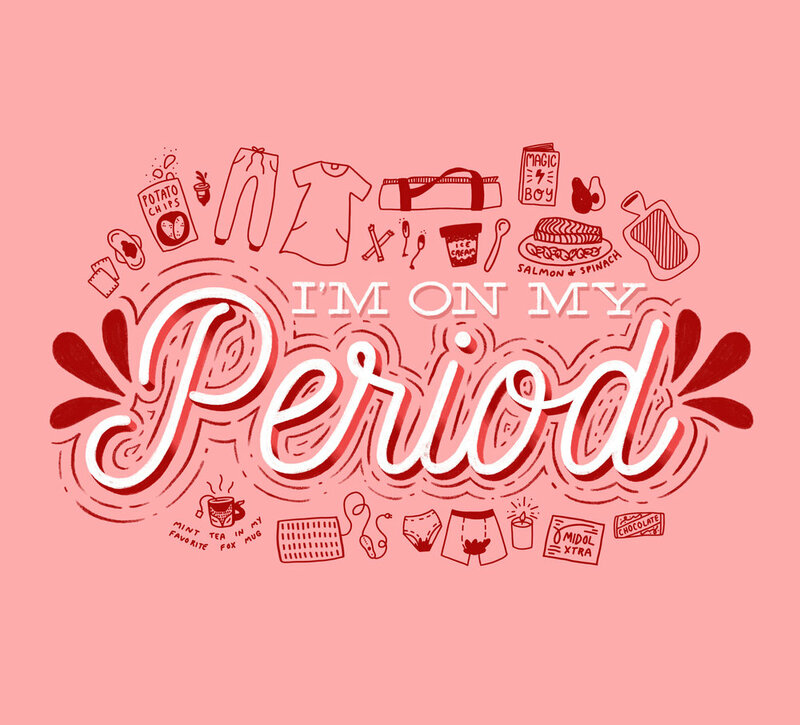 There are a lot of things to hate about periods but saying, "I'm on my period" shouldn't be one of them. Never forget that not only women get periods, so be kind and helpful to everyone who does have a period! You can find prints and other awesome stuff with this print on it here!